"101 Recipes from Holyland Israel," by Tal Dahan, is a cook book packed with traditional and more modern Israeli recipes. The book is part recipe book and part memoir, according to the introduction, and the text certainly corroborates this claim. The book is organized into four regions: Old Jerusalem, Old Jaffa, Bethlehem, and Hebron. Dahan writes about the culture of the region, then shares recipes from that region. The recipes vary from simple to complex, but for the most part, are practical and contain easy-to-find ingredients. 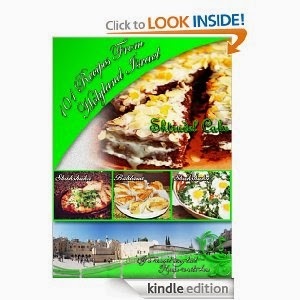 Some examples of the tasty recipes included in the book are krembo cake, borekas, and cholent. There is also a beautiful color picture for each recipe. This book is a must-read for anyone interested in Israeli dishes and wishing to buy a recipe book.